Online help wikis are a great way of having user input into your online help. Online help wikis are a great way of getting user input into your online help. A criticism of many online help systems is that they are too generic. They are written from the viewpoint of the developers, rather than end users. Real users have little input into the content, which isn’t specific enough for their real world. Our technical authors can create online help wikis for your software. Subject to their access rights and a moderator’s input, users can add their own input. The online help becomes real. It’s changing continually and reflects the user base. Our preferred utility for developing this type of online help is Atlassian’s Confluence. 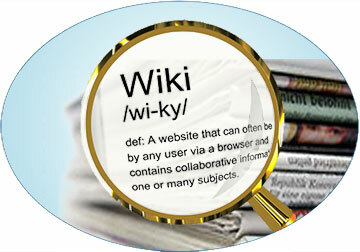 Content for the online help wikis is created within a web browser. Changes are instant and updates continuous. More than one technical writer can write the online help at the same time. This shortens the time-line. Content can be generated by Subject Matter Experts if you prefer. Then technical writers work as editors. Working on the help system is very easy. It's just like using a word processor. Users can make comments on the online help wiki. They can ask questions and experienced users provide answers. The online help wiki becomes a forum to share experiences. Although users don’t have the ability to physically edit the content they are able to suggest edits which your authoring team, or ourselves, can review. Readers can ‘like’ your online help and flag topics so they are notified when these are updated. Our technical authors will design templates for your online help wikis. These will reflect your corporate colours, logos and images. The online help wikis we develop for you will look like part of your own software. Using responsive design, the online help can be viewed perfectly on whatever device you wish to use, desktop, laptop, tablet or mobile. Wikis have great search capabilities, particularly when compared to the search features that come with traditional online help. Users can find what they need quicker. This reduces the number of them contacting a support desk. Online help wikis can have lots of additional features such as blogs, news feeds and forums. Developed using a 'responsive design', this means that as screen sizes change the content changes with it.